Shirdi Sai Baba Stories,Leelas and Teachings. : Ram Vijaya-Chapter 52. Here is chapter-52 from the book Ram Vijaya. Readers who have missed out any chapter can read them by clicking on the link provided below this chapter . Jai Sai Ram. A few days before Rama went to the garden he had ordered his officers to go round the city at night and hear whether his subjects spoke ill of him. The officers, who had gone round the city, came to Rama and said to him, " We went to every door successively for some days and found that all your subjects spoke well of you except one washerman called, Rajaka, who scandalized you. One day this Rajaka beat his wife, and consequently she ran to her parents house without his knowledge. Her father intervened and came to the house of his son-in-law with his daughter and requested him to admit her into his house, when Rajaka said, I will never admit her into my house. 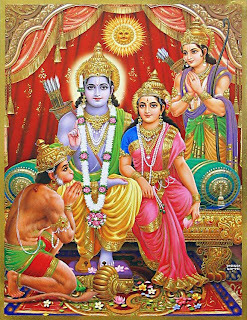 I am not that Rama, who shamelessly admitted Sita into his house, though she lived under the roof of Ravana for many years. I am a pure washerman. I am the man who clean and remove the dirt and spots on the dresses and clothes of the people and do you mean to say that I will admit your unclean daughter again into my house ? You can take her back. I do not wish to see her face. This is the only man who has scandalized you." As soon as Rama heard these words from the officers, he became exceedingly sorry and, having called Lakshuman, said to him, " You see, my brother, that Rajaka has scandalized me, though Sita is faithful and as pious as any thing. That wicked washerman has scandalized me, because I have admitted her into my house. I cannot bear this at all. I, therefore, bade you take Sita to the yonder forest and, leaving her there alone, return to me as soon as possible." " You need not take to your heart what Rajaka has said about yon," replied Lakshuman. " There are many wicked persons who are in the habit of scandalizing others. As a wise and prudent man you should not mind it. Let the people say whatever they like. Why do you mind that stupid man ? I shall cut off his tongue." " What you say is right," continued Rama, u but if you cut off the tongue of that man the people will say that we are guilty. It is, therefore far better, if we get rid of Sita, so that nobody may speak ill of us." Lakshuman hesitated to comply with his wishes, when Rama exclaimed, " If you do not obey me, I shall kill myself on this spot." 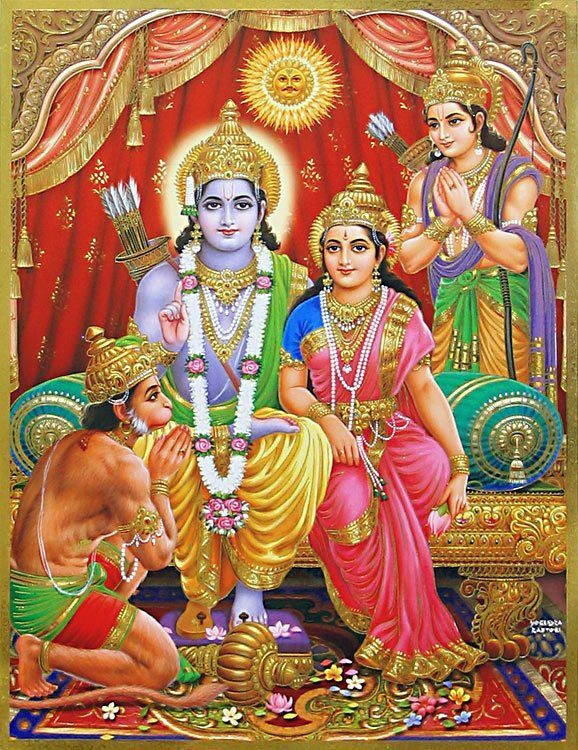 Finding that Rama was serious, Lakshuman immediately got up and entered the room of Sita, who kindly received him and made him sit with her. Lakshuman said to her, " Rama has told me to take you to the yonder forest as soon as possible. So, kindly prepare yourself and accompany me there." " Has Rama told you to take me to the forest ?" replied she. " Ah! I am very fortunate. Some days ago he asked me what I wanted to enjoy, and I told him that I liked to pass four or five days in a forest, eat kandamuls there and sleep on the bed of trana. I think, for the same purpose he is going to send me with you. Let us start. I am quite ready." Listening to what Sita had said Lakshuman felt much and shed tears for her.